This first class, one of a kind private fitness facility provides a new business model to the world of physical fitness and training. This state of the art facility includes top of the line weight lifting equipment, cardio machines and cross-fit stations that offer clients an environment that gives the feel of a major league athletic training center. Each training room includes individually controlled climate systems, Direct TV programmed flat screens, and iPod / iPhone ported music systems. This unique business model offers personal trainers a clean, private and professional environment to train one on one clients without the issues of overcrowded gyms and limited fitness equipment. Location and Facilities: This 4,600 square foot facility leases for $2,873 per month on a lease valid through 2016. 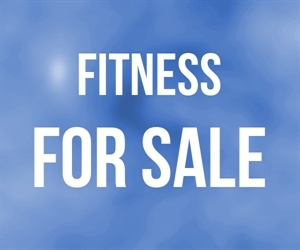 The sale includes all of the business assets such as the fitness equipment, cardio equipment, weights, dumbbells, televisions, and unique remote controlled camera and access security system. The sale also includes name, phone number and website, which has an extensively programmed SEO (search engine optimization) system extremely efficient in generating new clientele. Market Information and Position: This business has significant room to grow. As the business has just passed its infancy stage, it continues to generate more clients, activity and revenue every month. Additionally the facility can operate year-round 24 hours per day with significant room for additional personal trainers. Competition is low as few other similar businesses exist, and none with the build-out and quality of equipment this facility offers.